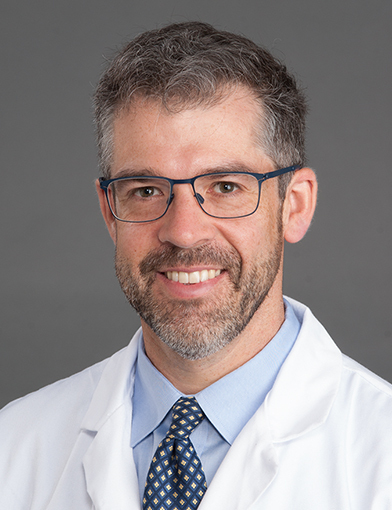 Dr. Clancy Clark is a surgical oncology specialist at Wake Forest Baptist Health in Winston-Salem, North Carolina. February 26, 2019Dr. Clark has been very reassuring to me during this process, from first analysis up to my pre-operation assessment. November 13, 2018My surgery has been very successful and Dr. Clark has been very helpful in follow-up visits. October 8, 2018Had this medical problem for 15 years after seeing multiple doctors and having had multiple treatments. This doctor was the only one who could see the problem and properly treat it. My wife and I are very grateful for his service. July 25, 2018Dr. Clancy Clark is the best doctor that I have ever worked with!!! Wake Forest Baptist Health is VERY FORTUNATE to have this doctor as part of their team!!!!!!! June 27, 2018I would definitely recommend him to anyone. Best dr. I have ever seen. This is very true. Thank God for him. May 23, 2018We have recommended Dr. Clark to several people. May 9, 2018I've never met a doctor like *Dr. Clark. He spoke to me like an equal, addressed my concerns in a calm manner where I was reassured of his expertise & always included my family they were with me. Most physicians rarely acknowledge my family during my care at other facilities. April 25, 2018I have already recommended Dr. Clancy Clark to others. He is an excellent surgeon. Preoperative exercise therapy for gastrointestinal cancer patients: a systematic review. Vermillion SA, James A, Dorrell RD, Brubaker P, Mihalko SL, Hill AR, Clark CJ. Syst Rev. 2018 07; 7(1):103. The impact of obesity on outcomes for patients undergoing mastectomy using the ACS-NSQIP data set. Garland M, Hsu FC, Clark C, Chiba A, Howard-McNatt M. Breast Cancer Res. Treat. 2018 Apr; 168(3):723-726. Feasibility of real-time location systems in monitoring recovery after major abdominal surgery. Dorrell RD, Vermillion SA, Clark CJ. Surg Endosc. 2017 12; 31(12):5457-5462. Modified frailty index predicts postoperative outcomes in older gastrointestinal cancer patients. Vermillion SA, Hsu FC, Dorrell RD, Shen P, Clark CJ. J Surg Oncol. 2017 Jun; 115(8):997-1003.